Zettler set up his own firm in the 1860s. F. X. Zettler became part of Mayer of Munich again in 1939. Both the Zettler and Mayer studios were known world-wide for the exceptional luminosity and attention to detail of their stained glass windows. This one glows with soft white light around and from from the central figure, the Infant Jesus. The halo for the Blessed Virgin Mary and St. Joseph are bright gold and stand out against the dark background, with a rural setting barely visible in the background. Shepherds and domestic animals observe the scene on Christmas morning. 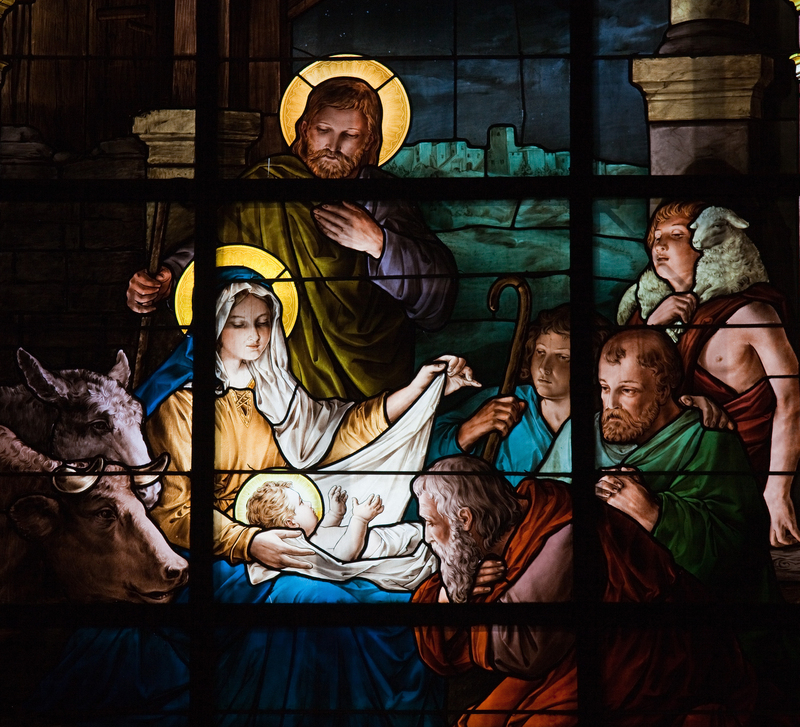 I hope you enjoy the collection of pictures of stained glass windows, icons, frescoes, ceramic tiles, statuary and mosaics that are used for this fourth edition our our annual Christmas series. May God bless you and your family with a happy and joyful Christmas season. I have also made Podcast (MP3) versions of all these programs, which are linked from the Podbean gadget on the Digital Library page at our web site: www.AnglicanInternetChurch.net.